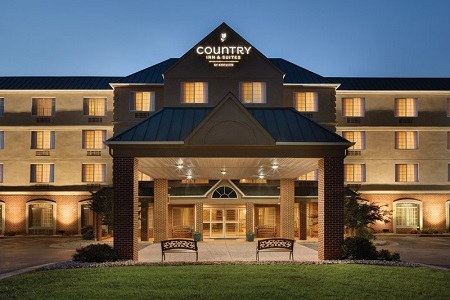 Nestled in the heart of the Shenandoah Valley with convenient access to I-64 and I-81, the Country Inn & Suites® by Radisson, Lexington, VA boasts a location that is perfect for exploring the area. Make the 14-mile trek to the Natural Bridge of Virginia to sit in awe of the 34-story limestone bridge, or drive five minutes north to Hull’s Drive-In Theatre to see an outdoor movie. Both Virginia Military Institute and Washington and Lee University are less than two miles away, making it easy to attend graduations or take tours. When you return to the hotel, let stress dissipate with a soothing soak in the hot tub while the kids play Marco Polo in the pool. 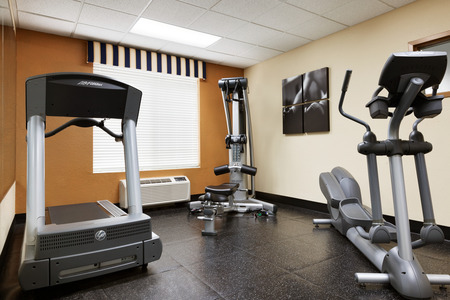 Our on-site fitness center is also a great spot to burn energy, and a complimentary cookie from the lobby is the perfect post-workout treat. Want to share how proud you are of your college graduate? You can easily upload photos online using our free Wi-Fi. 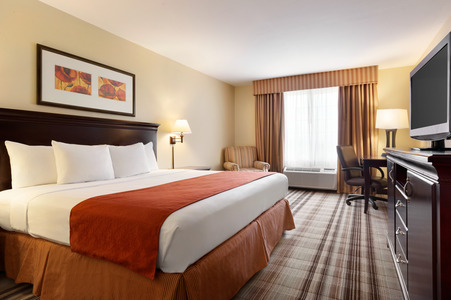 When night falls, slip between the fresh linens on your comfortable bed knowing a free, hot breakfast awaits you in the morning. 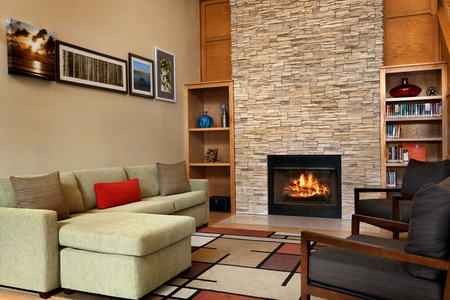 If you need more space, our One-bedroom Suites feature a separate living area with a sleeper sofa and a TV as well as a private bedroom with a second TV. Gear up for the day at our free, hot breakfast, served fresh each morning and featuring items like Belgian waffles, biscuits with gravy, bagels, eggs and more. For lunch or dinner, opt for local favorites like Bistro on Main or The Palms Restaurant. Both dining establishments are less than two miles away. Boxerwood Nature Center & Woodland Garden – Take a stroll, attend a concert or participate in a workshop at this nearby attraction that’s dedicated to preserving local flora. Less than three miles away, these gardens are home to thousands of specimens of trees and seasonal blooms. Lexington Valley Vineyard – It’s all about the tours and tastings at this beautiful vineyard, located about eight miles from the hotel. Family-owned, Lexington Valley produces handcrafted wines from French-American hybrid grapes. Natural Bridge of Virginia – A National Historic Landmark, this natural limestone bridge towers more than 1,000 feet over the peaceful Cedar Creek. Thrill seekers can even descend 34 stories underground into the accompanying caverns. This local treasure is less than 15 miles from our hotel. Learn more about our hotel's location. Our hotel is unable to accommodate pets. Service animals are permitted.